With the testing available today there is no reason to take chances of smoking “creek weed” that leaches the toxins out of the polluted ground. This is medical grade cannabis clean and full of nutrients. Grown in the best soil available. Quality growers have their crops tested for mold and other contaminants. Oklahoma medical cannabis is also grown at full attention, not just in someone’s basement. Now, Oklahoma pastors, doctors, lawyers, and even senators are all aboard and actively participating in a new legal industry. Elder care is changing. We have taken care of our children, and our children’s children, and our elders. If we are lucky, we’ve taken care of each other. Now it is time to take care of ourselves. Pain, stress, and a lack of rest are very unhealthy in our so-called “Golden Years”. What do we plan on doing when the medical industry has us tapped out on pharmaceuticals before our final pains of this life? When the Rx doesn’t work anymore??? Or when our livers stop fighting to survive? The healing FACTS about Cannabis are coming out. It’s not a gateway drug. It’s an exit drug, says Dr. Uma. We have all been affected by opioids! If not personally, through someone we love. 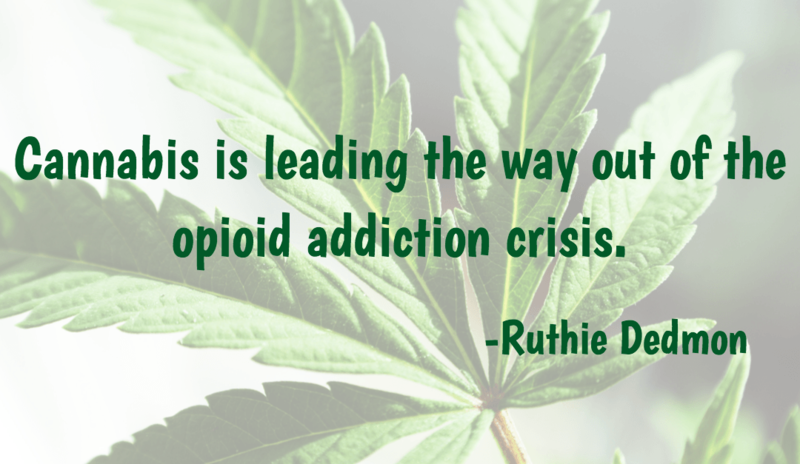 Cannabis is leading the way out of the opioid addiction crisis. We must make sure the retirement centers and nursing homes allow ALL medicine, even natural ones, just as they have allowed cigarettes. Quality of life is not something that should be reserved for the young. Those who have the energy and strength to fight should use it in fighting for those who don’t. Our elders have been through more than our youth, and their bodies and minds have taken the punishment of time on a scale that most of the middle generation cannot comprehend. Mental Health is just as important as physical health. Family life, be it blood or social friends, they need to be supportive. If you are looking for a retirement village or nursing home, always remember to ensure cannabis friendly living. Find like-minded people to cohabitate with. Share knowledge and don’t be afraid to ask questions. We all have to start our journey of learning somewhere, but that journey should never stop.